A few years ago, I had a call from a gentleman that wanted to know if the Aquagoggle V2- prescription swim goggles would stand up to having a few holes drilled into the lens. To date, that has been the oddest question I have ever received about the goggles. However, this man had a very good reason for asking. He is a farmer, and unfortunately suffers from dry eye. Driving his combine during the harvest was unbearable. So his idea was to seal his eyes away from the worst of the dust/grit etc with our goggles. Just adding a few holes for a little ventilation. Well, he did it and reported back that it worked beautifully. I only wish I had asked him for a picture of him on his combine wearing swim goggles! Back in 2016, I was contacted by a man that wanted to know if our presciption swim goggles would hold up in very cold weather, and possibly severe weather. My thoughts went to someone doing an early in the year triathlon (triathletes are crazy and awesome). But no, Sylvestre Campe was doing something that to me was even crazier and audacious. He and his crew were sailing to Antarctica to film a series about the adventure. Wow. I told Sylvestre that I knew of no reason why the goggles wouldn’t do the job, and he ordered a pair of our V2- prescripton swim goggles to try. So off a package went to Brazil, and I didn’t hear from him for quite some time. And then, a few months later I received an update in an email from Sylvestre. Cutting onions during meal prep. I admit, when a customer responded in a review with this idea, I was mad I hadn’t thought of it before. I’ve been handling Aquagoggles for 17 years, and in all that time I’ve suffered through some meal preparations that a pair of our prescription swim goggles could have saved me from. My eyes burn and water like crazy when I dice onions. Why does something so delicious have to hurt you so? Well now they don’t have to. I may look silly, but I can see what I’m doing and my eyes don’t burn now. Much like the irritation from dust and chaff, like the farmer, or burning eyes from cutting onions. Some people (like my wife) suffer terribly from an allergic reaction to grass. For my wife, it’s a nice excuse to leave mowing the lawn to me. For some though, they just push through the discomfort and get to it. A few customers are willing to look a little silly if it means they can save themselves from red & puffy eyes, and wear our prescription swim goggles while they mow the lawn. I think they’re also preparing for an excuse to jump in a pool after they’re done. At least that’s what I’d do. This was another use that made sense when we were made aware of it. Events like the Tough Mudder have a number of obstacles that include water, and of course mud. Wearing your regular eyeglasses could be either annoying, and expensive, if you wreck them. Other events that include color bombs and tons of suds are also becoming popular. If you are so inclined to take on one of these events, then a pair of swim goggles might be a good gear option. Also, any Anti-Fog solution is a great idea. We’ve also heard of them being used for surfing in San Diego, sailing in the UK, and one ultra marathoner even took a pair to the Marathon des Sables. 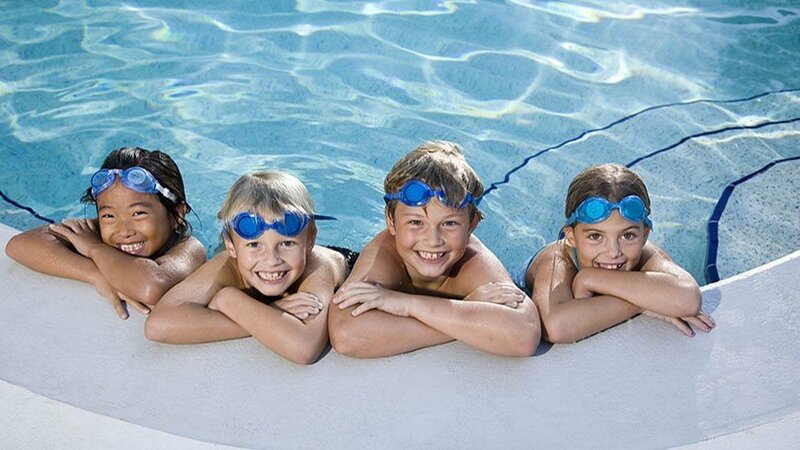 If you’ve got an interesting story about how you’ve used your Aquagoggles, share it with us! We can also help you choose what lenses might work best for you. Here’s the link. When you need prescription glasses to get around in your everday life, the idea of jumping in water either blind or blurry can be very intimidating! The good news is that choosing a quality pair of prescription swim goggles that come close to matching your glasses is now quick and easy. The goggles lenses are premade with spherical correction in differing strengths, also known as diopters. The strength increments by 0.5 at a time, so they are not as precise as your regular custom ground eyeglass lenses. However, for use in the pool, lake, or ocean they are perfectly fine. They are also available NOW and at a fraction of the price of a custom pair made at your local optician. Most people needing glasses are myopic (negative diopter), and are the most commonly available. We carry them from -1.5 down to -7 in half increments, and then in full strengths down to -10. Aquagoggles also carries Positive + lenses for those of you with hyperopia. Coming in full strengths only, from +2 to +6. An easy way to check if these lenses will help you is to check out some off the shelf reading glasses at the pharmacy. Commonly the most confusing and stress inducing part of the process is figuring out what lenses will most closely match your current prescription. We can usually help you out if have difficulty with following the steps below, or you can contact your eye doctor. First, get your most current prescription numbers. The important ones are for Sphere (Sph) and Cylinder (Cyl). Sphere is the amount of correction needed to correct for the weakness in your diopter. Cylinder is the degree of astimatism. Or, which does your eye more closesly resemble? A Football or a Soccer ball? Once you’ve determined you lens strength needs, it’s time to choose the goggles that are right for you. If your numbers came out negative -, then our V2- prescription swim goggles are the ones for you. If they came out positive +, then our V2+ (Blue) goggles are best. When trying on your goggles for the first time, take the time to adjust their fit first and foremost. Change the nosepiece as needed to fit your face, then adjust the strap for a snug fit. Both styles as well as more info about our prescription swim goggles can be found here. We’ve come a long way with our prescription swim goggles since 2001. We’ve made changes to the lenses, better attachment types for the seal and nose piece. We want a better fit so more people can see in the water.